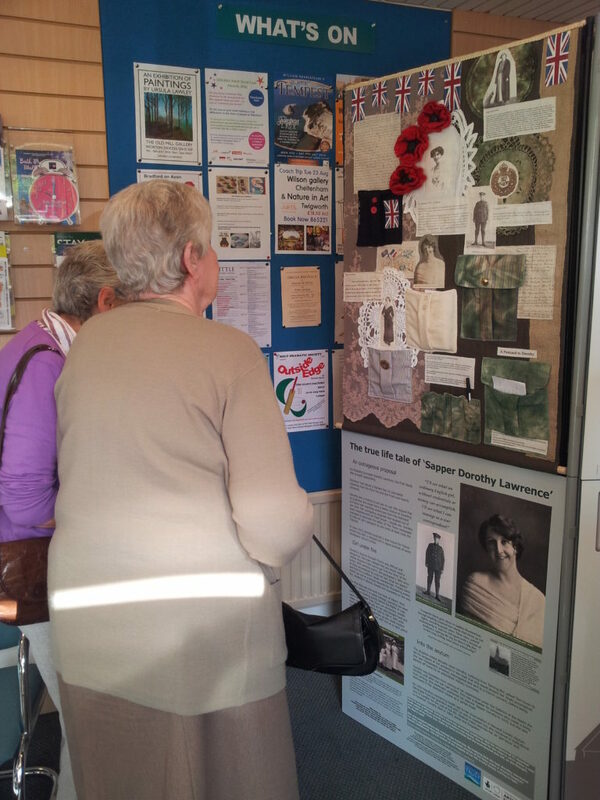 The 8th July 2016 saw Bradford on Avon Library host the production, ‘Over the Top: The True-Life Tale of Sapper Dorothy Lawrence‘, by the Heroine Project Presents. The play tells the extraordinary and tragic tale of Dorothy Lawrence, a woman who defies convention to dress as a man and head to the Front as a War correspondent. It did not go to plan, and although Dorothy survived her ordeal, she never truly recovered. I had the good fortune to attend this particular performance, and I enjoyed it thoroughly. The production had only two characters (Dorothy and another who you could see as her imaginary friend, or rather her subconscious), and the staging was very simple, but the way the characters utilised the props at their disposal was impressive. There was the perfect balance of comedy, excitement, adventure, frustration, tragedy and uneasiness, and even some brilliant songs. I was left feeling both in awe and in pity of Dorothy, and really wishing I could sit down and have chat with her. After the performance the audience were asked to use blank postcards to write a message to Dorothy on one side, and any questions we had for the Heroine Project Presents on the other. The two actors along with the Director, Lizzie Crarer, then led a discussion about Dorothy’s story, and a Q&A using the postcards. 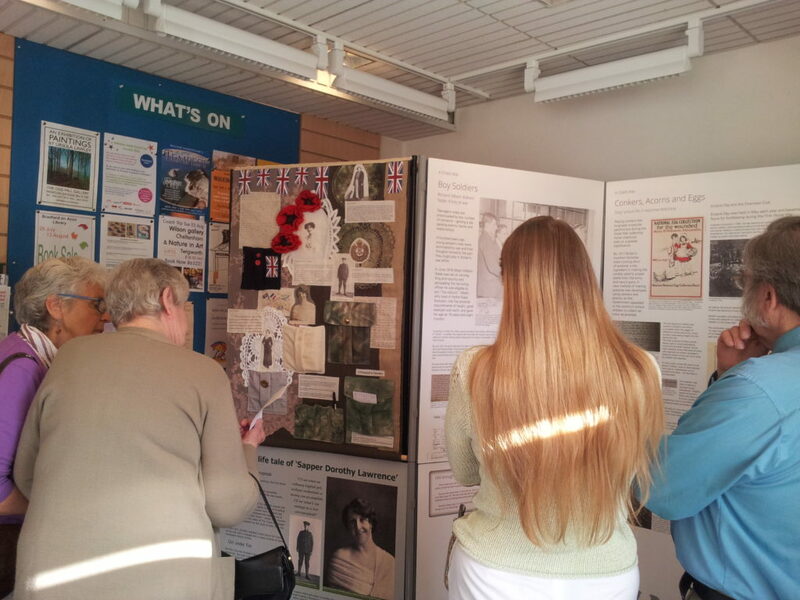 This was a brilliant idea, and really helped to process the story and to release the emotions the play had inspired. 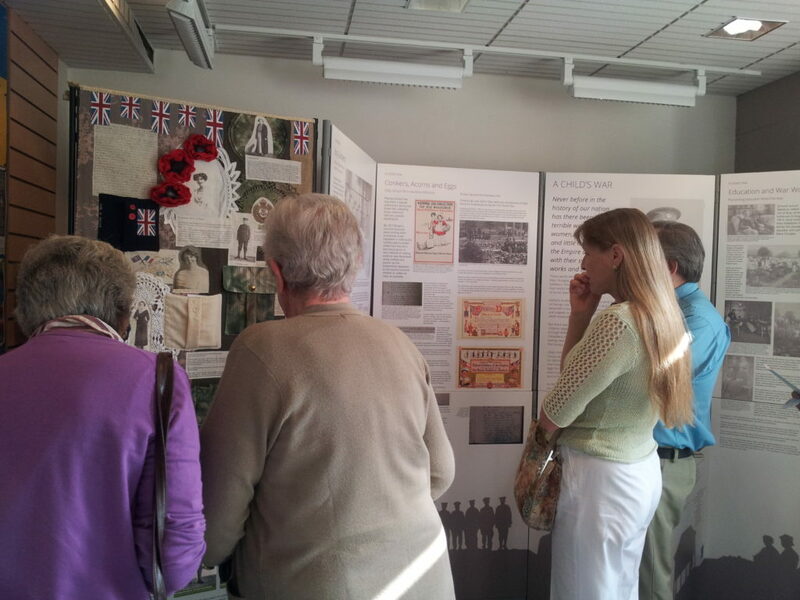 Before and after the production, the audience were able to view our third exhibition, A Child’s War, as well as an information panel about Dorothy’s story that Lizzie had commissioned along with an embroidered art piece. 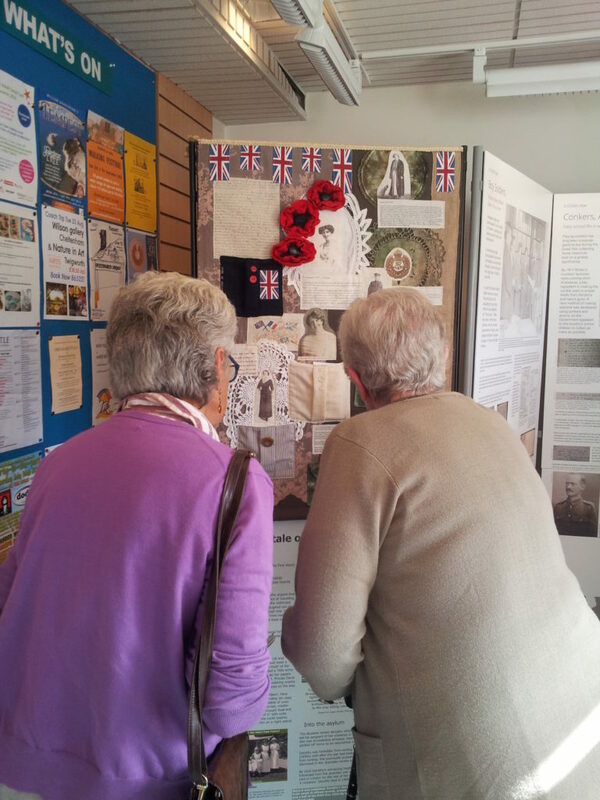 The embroidered piece included pockets containing the postcards to Dorothy from previous audience members, as well as blank ones for people to add another message. 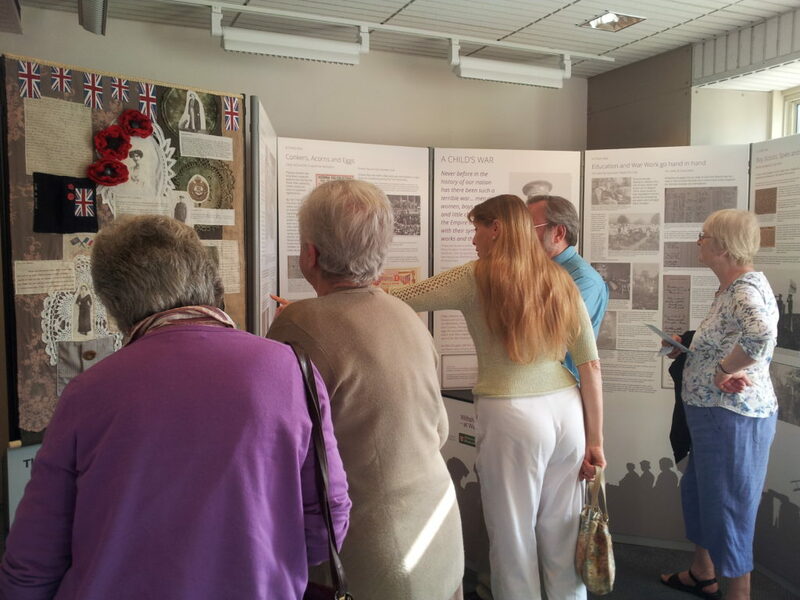 Below you can see photographs of the exhibition with Dorothy’s panels, and a few of the audience members engaging with the content.